Amalgam is a combination of metals that has been the most popular and effective filling material used in dentistry for the last 150 years. Although it is sometimes called “silver amalgam,” amalgam actually consists of a combination of metals. These include silver, mercury, tin and copper. Small amounts of zinc, indium or palladium also may be used. Over the years concerns have been raised about the use of amalgam because it contains mercury. Although in some European countries (Sweden,Germany, UK) there is a tendency to eliminate the use of amalgam, the major Health Organizations in the world continue to accept amalgam use. According to the American Food and Drug Administration, the World Health Organization and the American Dental Association : “Dental amalgam is a safe,reliable and effective restorative material”. 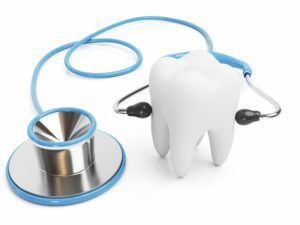 In the past, dental amalgam (silver filling) was the most common material used to fill cavities. As far as the mercury release several studies concluded that the amount of mercury released from amalgam in the mouth is very low and less than the amount that most people are exposed to in their daily enviroment or in the food they eat. People who have high exposure to mercury ( through their jobs or people who eat large amounts of seafood) may want to avoid amalgam. Also pregnant women should avoid amalgam fillings. The main reason for replacement of amalgam fillings is aesthetics.